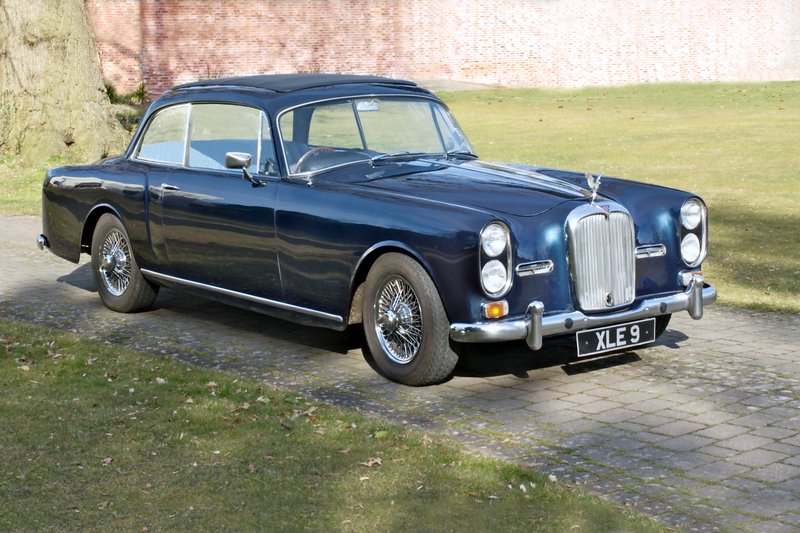 The Mulliner, Park Ward coachwork is unique as being the only car for which Rolls-Royce produced coachwork for another car maker. Largely hand-made, no two cars are really identical and my photos on the Graber page prompted an interesting comment from Vic Johnson who used to work there. 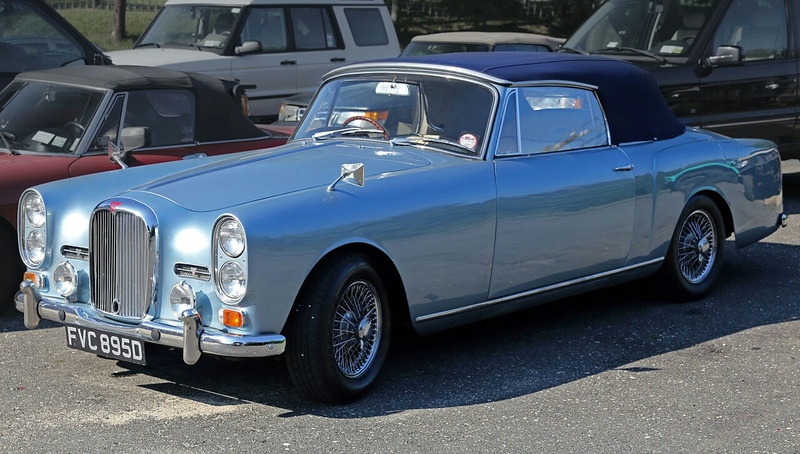 “My wife’s cousin, Irene, Marquesa de Torrehermosa’s last Alvis was a TF21 saloon which we inherited but sold as it was in such poor condition. She wanted an Alfa Romeo when at university in the 1930’s, but her father insisted that she have a British car, and bought her an Alvis. She had Alvii continuously until her death in 1986. Red Triangle supplied them all in later years, secondhand I believe. For some years, there was a photograph of her Grey Lady upside down in Garve, the local town, following an accident. She emerged angry, but with just a scratch! The photo has sadly gone missing. There are numerous stories about her at the wheel of her Alvii, many of which feature in a book about her published by my wife some ten years ago. I sold the TF in 1987 to a man who drove up to the Highlands in a Land Rover with a trailer from Portsmouth. He wanted it for the interior (rare, being a TF21). It was so rusty, the wheels would not turn on the axles. 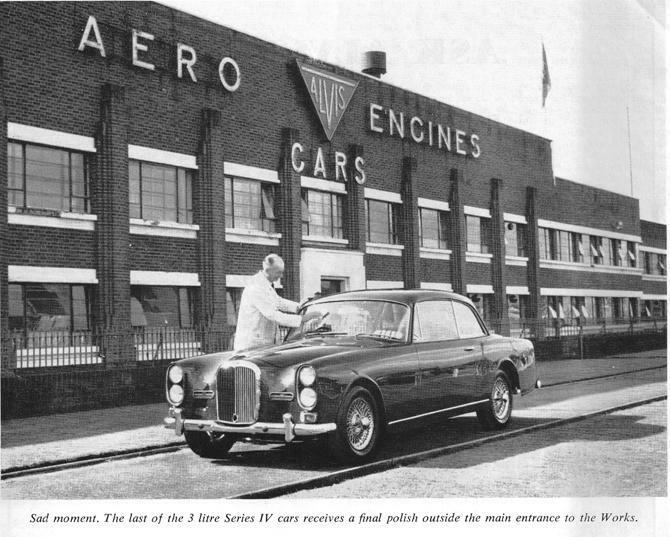 Note the scarab radiator mascot, together with the unusual fog light arrangement in the air intakes. Not unattractive and loosely in the tradition of the TD21 Series 2, as well as being quite professionally done. Not so sure about the headlight surrounds, and definitely not very keen on the indicators (no sidelights either, but the Marquesa was pretty much a law unto herself up here). I then had a call from Brian Chrimes (ex RT) who told me more about this car. 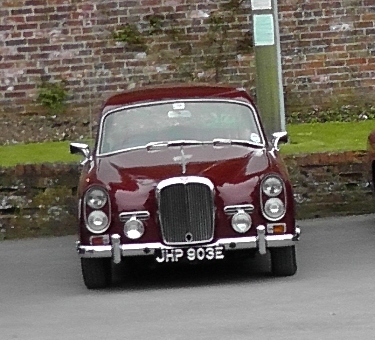 It was Brian (at RT) who modified the front as the body came off a Series 2 after Rowly Simmons had run off the road and damaged the original TF. Apparently Rowly used to collect the old cars from the Marquesa when they were completely shot, ususally after about three years, when she had her new (secondhand) one. Wayne Brooks sent photos of the car with Dutch plates. “27410 is still in my possession. I bought the car from a Dutchman, who bought it from RT. It was said RT did a total restoration. My vendor was very disappointed about the quality of the work that was done, so he refused to accept the car and several additional work was carried out. The story took place in the mid of approx 1995/6. I think in this stage the color of the car was changed from beige into peony red. Also the RHD was modified into LHD, very helpfull for motoring in town at home. I am now trying to find the former owner(s) to get the complete steps/provenance. So another gap remains to be filled in this history. 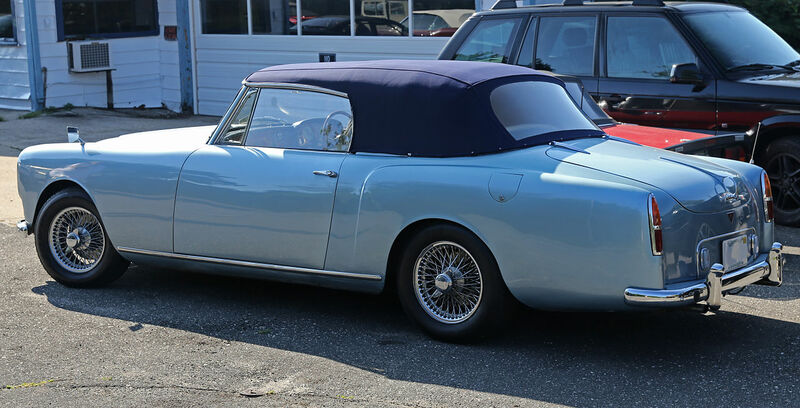 Since this was written the car has been restored and sold to a new owner. Neil Millington writes “The TF Saloon 27410 looks quite good with Austin 3 litre head lamp surrounds. In truth I had forgotten about the enlarged land crab, a shame, because I’m sure it was under rated but probably suffered from the poor build quality that Austin Morris suffered from in those days. My own TF21 chassis number 27456 is towards the end of production and was registered by Alvis Limited on the 15th February 1967. 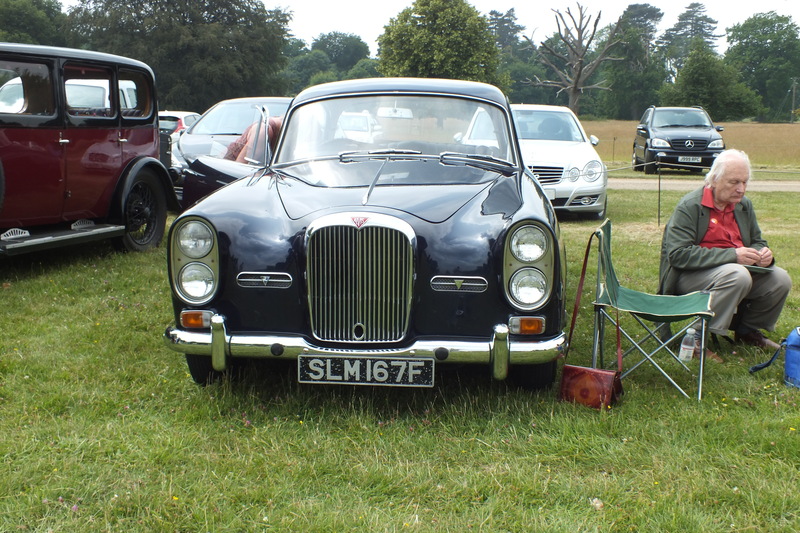 It was used by their financial director, Mr G (George) Howell until released by Alvis in September 1971 when it was purchased by Red Triangle Autoservices. Further information is included in the letter below It is interesting to know that the current engine number 27456 presumably the same as the original which suffered the water loss. I suppose with a hammer and a set of number stamps you could have whatever engine number you wanted there by keeping all numbers matching. The current keeper of 27411 is Robin Johnston and he writes: “The TF 21 known as the Fisherman’s Coupe has been in Scotland for the last 28 years, so some of the detail and history may be of interest, as it has unique features as supplied new. The first owner, a Mr Edward Farr, was a keen fisherman, and requested various modifications to his new TF 21 before delivery. 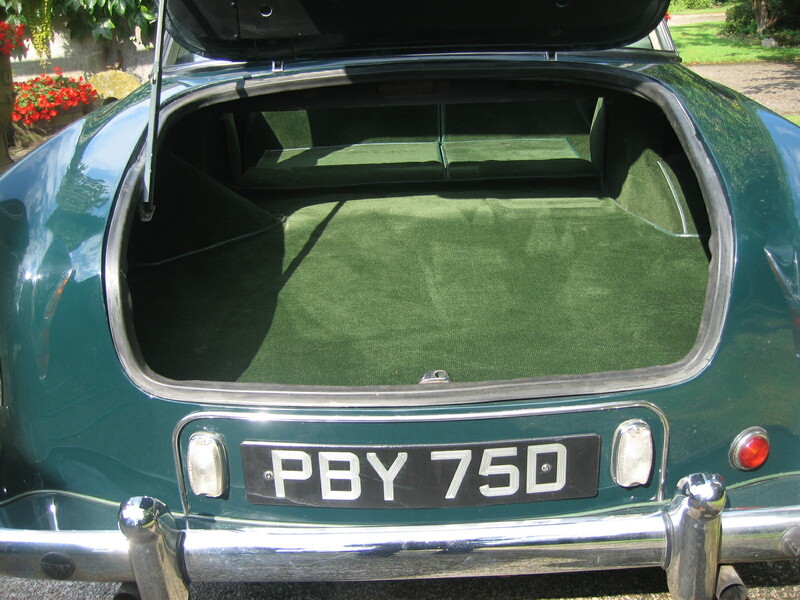 The most conspicuous was a deeper boot opening, and split folding rear seats, all to allow fishing rods to be carried. 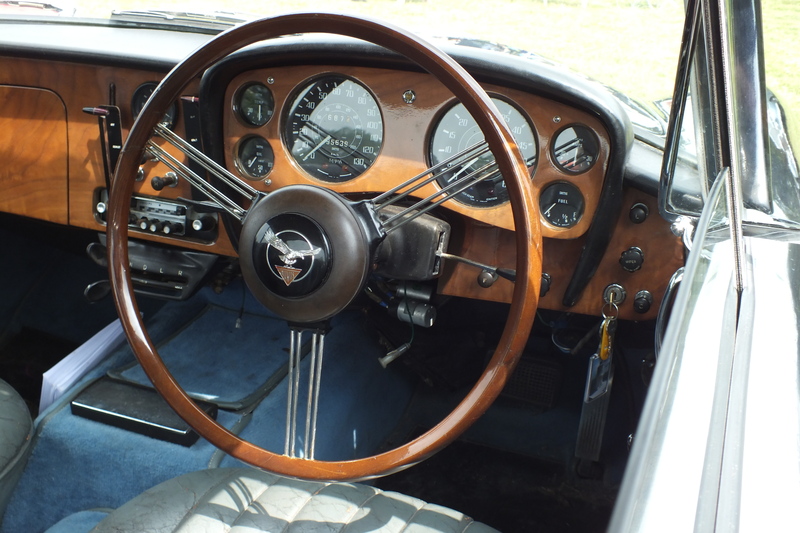 Other extras included Reutter front seats, a one shot handle for the driver’s door window, and a wood rimmed steering wheel like the one he had seen on an Aston Martin at the Motor Show. 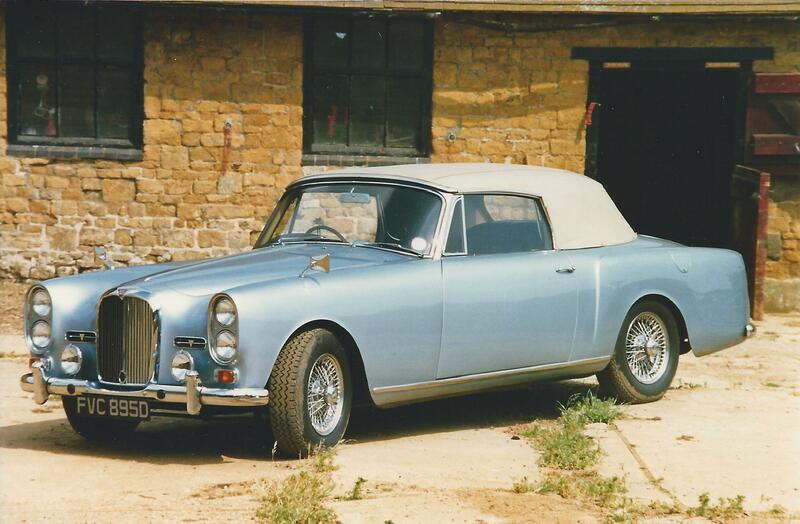 I have seen correspondence between Alvis and Farr, at Red Triangle, overheating and also a gearbox change. I would love to have a look again, to see if there is any from John Davies, the second owner, in the file. 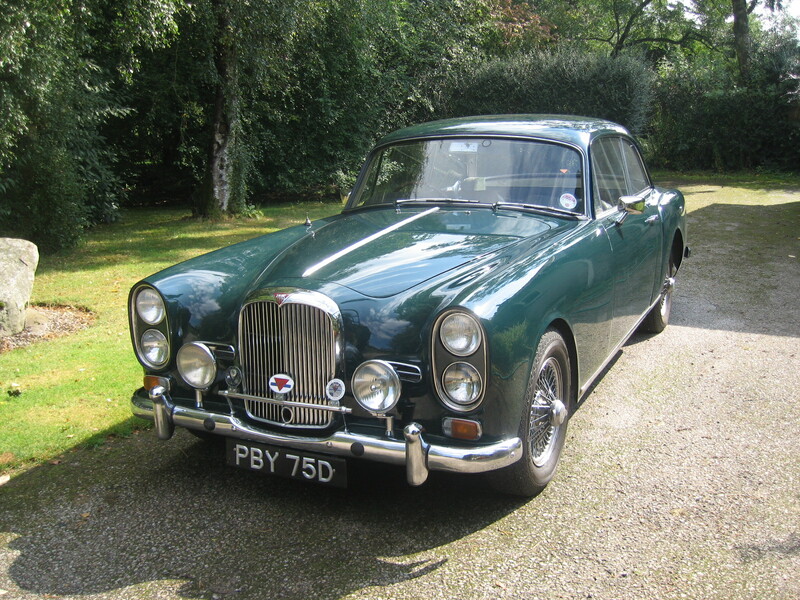 John Davies, had the car for 17 years, and it would have been very familiar to Nick Simpson. 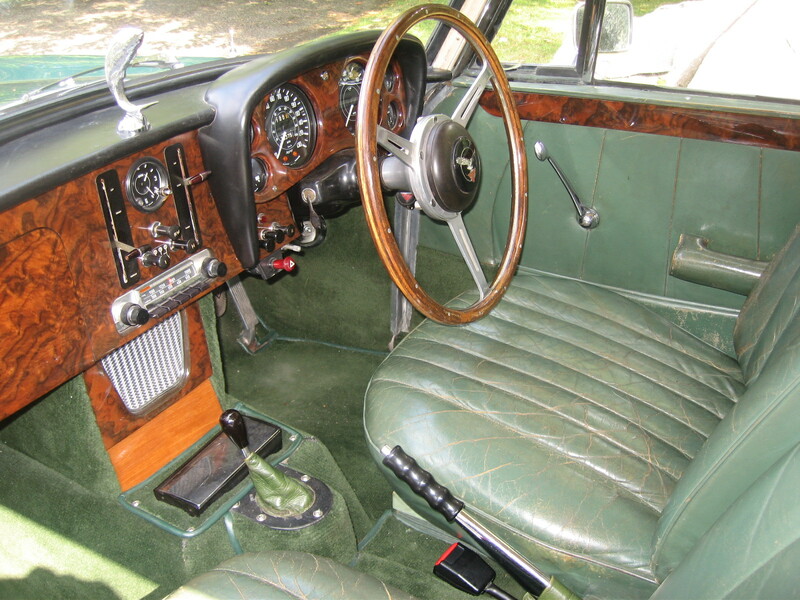 Davies bought the car from Broughtons of Cheltenham in 1969. 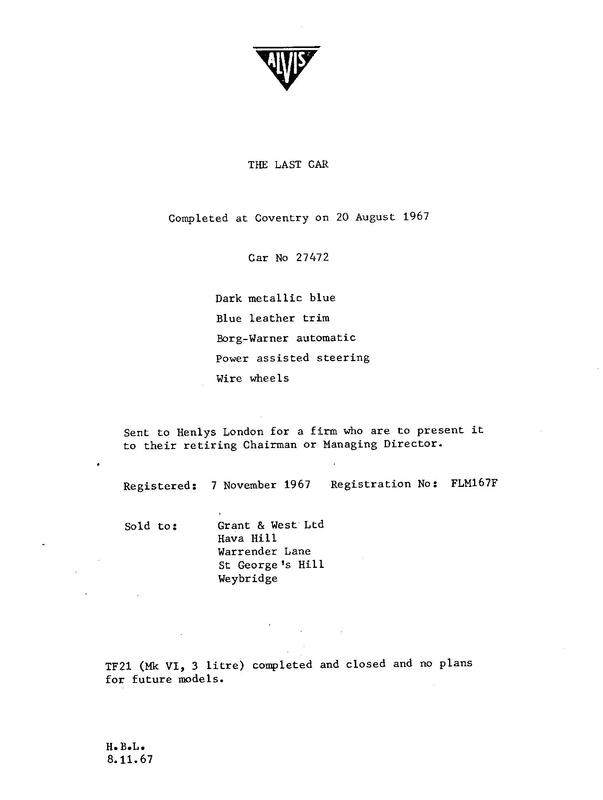 There is absolutely no doubt that the original registration was KLE 422 D, and Red Triangle still use this in some correspondence to me, obviously from their original records. It has only been out of use for 37 years. The oldest record which I have is a re-issued buff registration dated 3rd March 1977, which I have supposed was due to the registration number being changed to LPO 1. John Davies’ note, confirms that the mileage when he bought it was 30,000. This would seem right for the first owner in three years. There is then a reasonably high mileage up to 73,000 in 1977, when I begin to have MOT records, but thereafter annual mileage was in the order of 1500. Dr Forbes Proctor, the third owner was a larger than life character, living in the very far north of Scotland, who achieved very unwelcome notoriety as “Dr Dram”. An account can be seen on the Internet, in the “Herald” dated 10th December 1987. I was very interested in John Fox’s contribution re the TF21 and I would like to add a little to it. 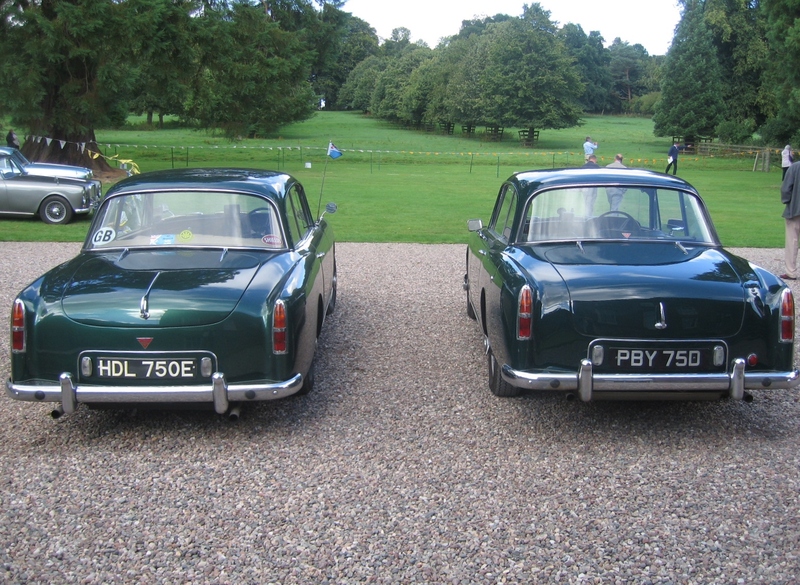 In 1974 I acquired cars numbers 27471 and 27472 which are certified by Alvis and Red Triangle as the last two cars to leave the factory. 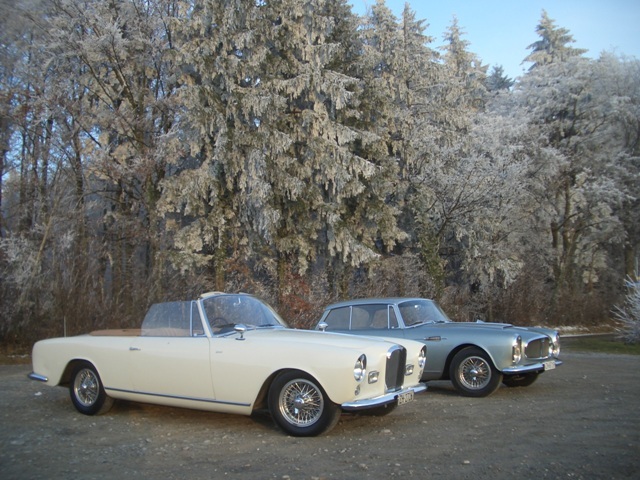 There were other chassis that went to Graber in Switzerland which would seem to have included 27470 which John Fox describes as the last of the line of Alvis cars. Car no 27472 was I understand supplied to the proprietor of a chemical company at Loughborough and and when I acquired it from his widow, the mileage was 19000 and is now just on 100,000. Car number 27472 I understand was supplied to the president of Champion Spark Plugs and has a Webasto roof, electric windows and reclining seats. 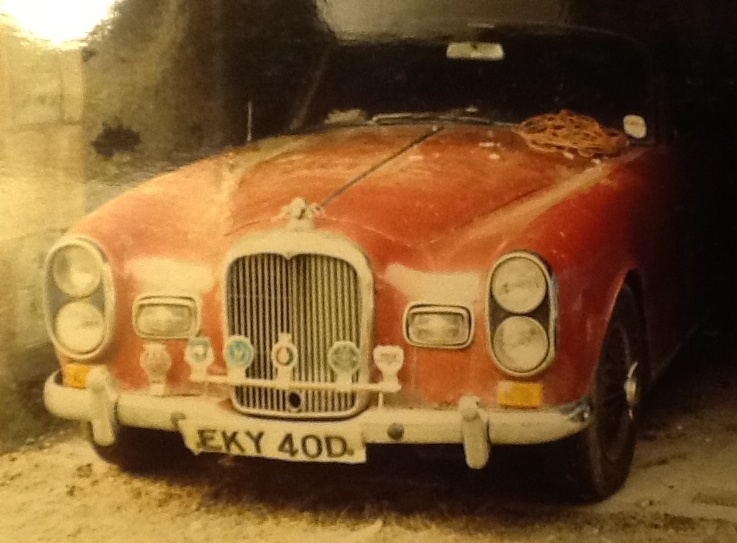 I acquired it from the second owner, Lord Baden Powell when the mileage as I recall was 73,000. Both cars were advertised in the same AOC Bulletin. 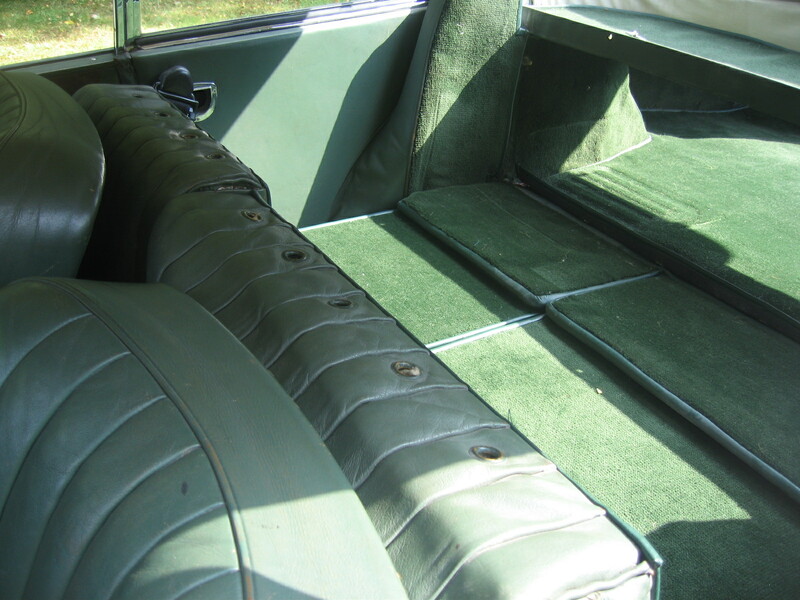 I decided on 27472, an automatic saloon, on account of the lower mileage. 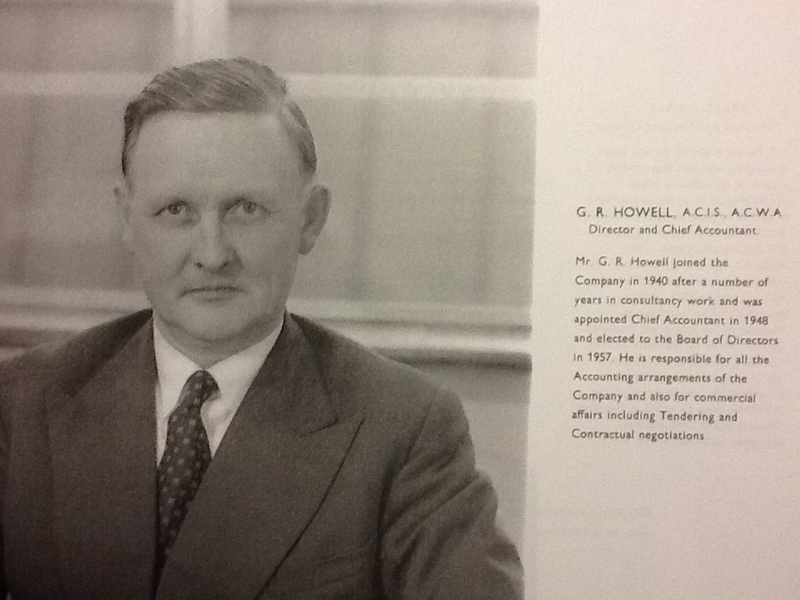 I was then advised by the owner’s business manager that she had decided not to sell and so I went ahead with 27471 from Lord Baden Powell, only to be advised that 27472 was available to me after all so I took that one as well knowing that I could make a later decision on which to keep. I still have them both. 27473, 27474 appear to gone to Graber in October 1966 and 27475 in February 1967 although it was not completed until August 1968. Certainly your cars are the last MPW cars.